Rigorous, research-based language development program for middle and high school English learners at all levels of language proficiency. 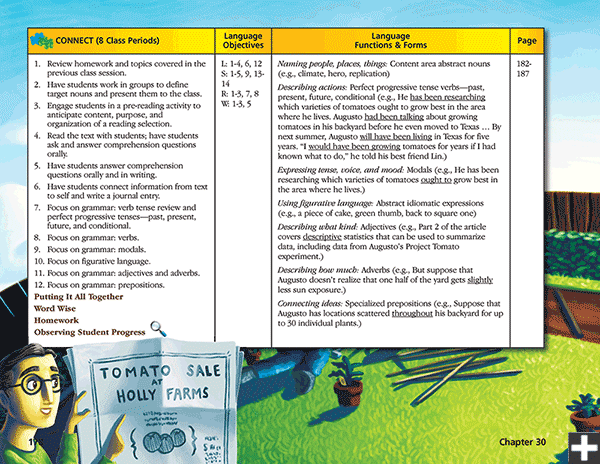 Language forms (grammar) and functions (tasks) are introduced and reinforced through the units. Language objectives are aligned with state English language proficiency standards and supports the Common Core State Standards. 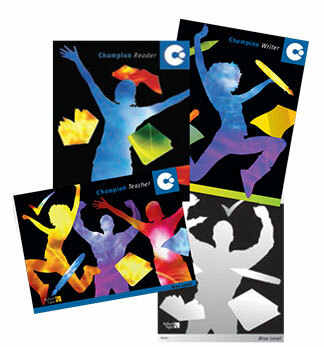 Champion explicitly teaches and builds grammatical fluency and accuracy throughout the program. 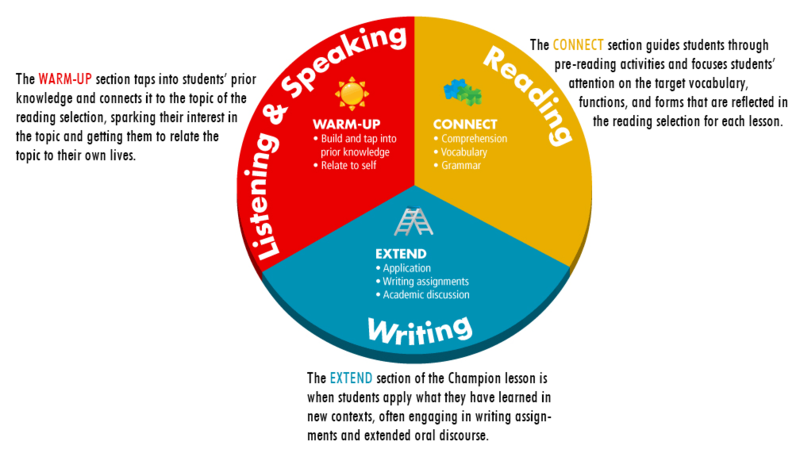 The program integrates listening, speaking, reading, and writing with major content areas to prepare students for success in mainstream academic classes taught in English. 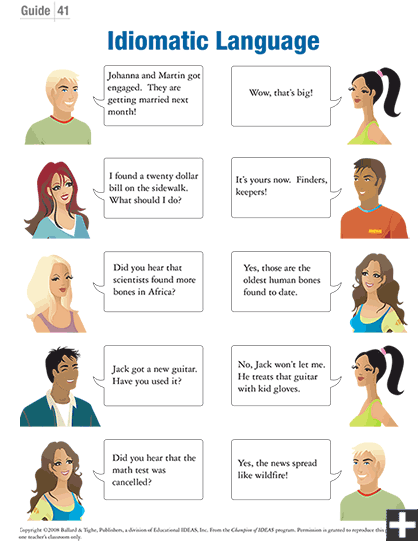 Students have extensive opportunities to practice both social and academic language in authentic contexts. This academic language is recycled throughout the program. 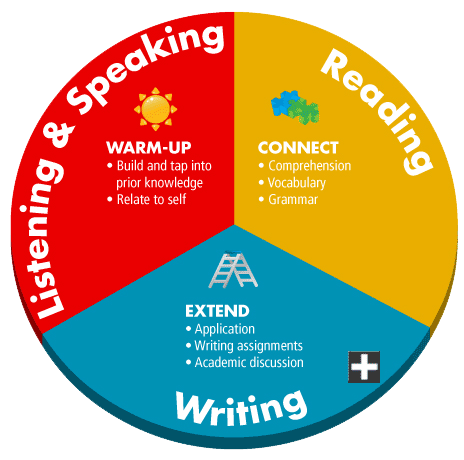 The activities in the WARM-UP section emphasize listening and speaking skills. The learning environment is low-anxiety and encourages student participation, both verbal and non-verbal. 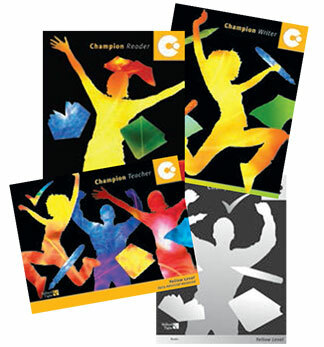 Champion provides explicit vocabulary and academic language instruction with the goal of creating proficient readers who can access mainstream content-area text. 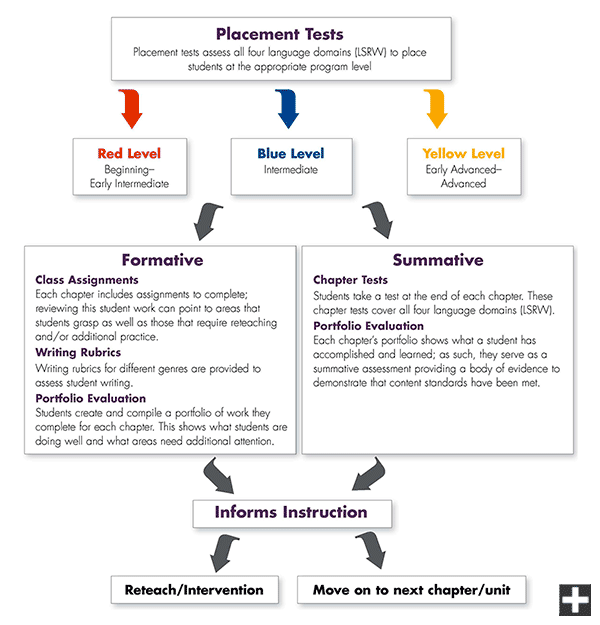 Rigorous content prepares students for success in mainstream academic classes. 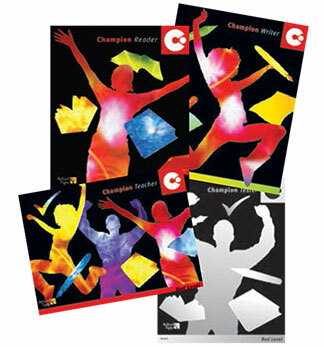 The Champion Reader covers a broad range of interesting topics including history, literature, communication, mathematics, and science and technology, as well as many different reading and writing genres. 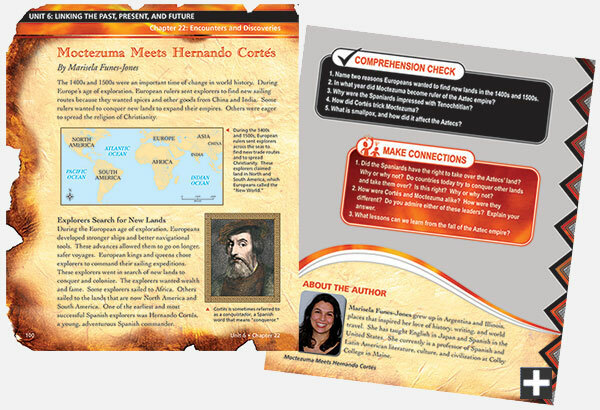 At the end of each reading, students answer comprehension questions that assess understanding of the content and promote higher order thinking skills. 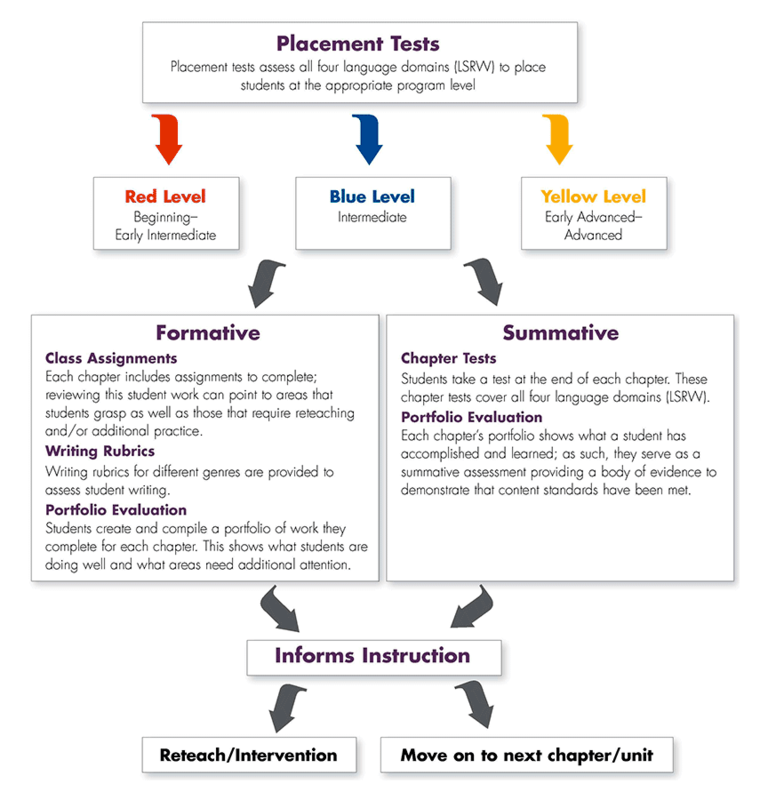 Summative and Formative assessments track student progress and inform instruction.